Chalai market in Trivandrum is one of the oldest and the largest markets in Kerala. Located in city center near east fort, this market sells everything needed for a household. Most of the shops deal with both retail and wholesale and you can buy stuff at a good price point. The market is famous for commodities such as vegetables, hardware/tool shops, household items, jewellery, handicrafts, wall photo frames, perfumery, spices and discarded junk! 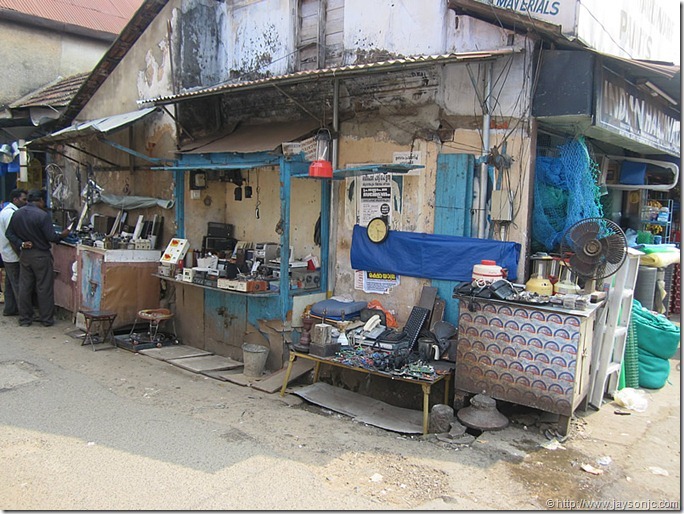 I visit Chalai market once in a while to check out discarded electronic junk or to buy tools for my DIY hardware kit. Chalai is a crowded market and it takes a while to know where you get the stuff you are looking for. 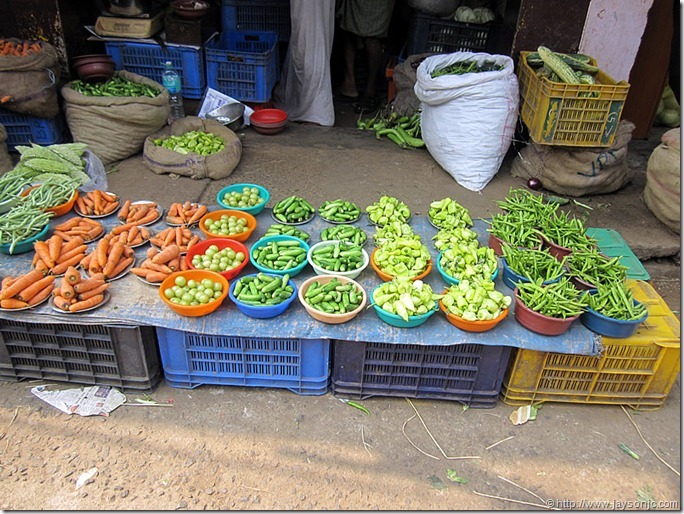 This article is a short guide to the layout of the Chalai market. Chalai Market was officially established towards the end of 18th century by Raja Kesava Das, Dewan of Travancore. The idea was to make Chalai bazar the central point for the supply of commodities to the Travancore kingdom. The Killi and Karamana rivers nearby was used to transport goods to the market. Muslim, Brahmin and Nadar traders came to the market and established a market of diverse culture. It is a very congested place now and it feels so nostalgic to walk around the market. Slowly and steadily the market is changing and the recent garbage disposal crisis is so bad that the market may have to shutdown till the crisis is over. Unfortunately the southern side of the Chalai market is stinking due to all the piled up garbage. Chalai market (also known as Chalai Bazar) is located opposite the East fort central bus stand where all the city buses terminate. The main entrance is located at the junction between Gandhi park and KSRTC bus garage. This entrance takes you to the Chalai Market road which is the main shopping area. This road terminates on the Kanyakumari highway (earlier known NH-47 and now renamed as NH-66) at a distance of about 1.5KM. 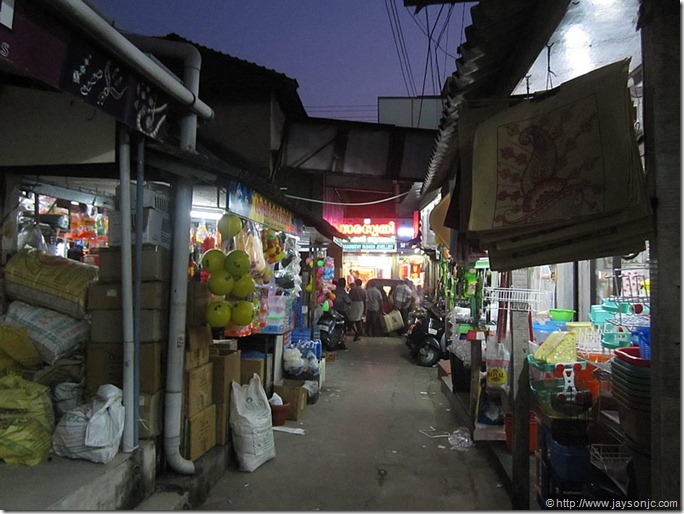 There are many narrow roads leading out from the Chalai market road and this is where various small shops are located. If you are going by bus, take any bus to city center and get down at the last stop which is the East fort. You can then just walk across to the market. If you are going by car, finding a parking spot on the East fort side is not easy. If you are lucky, you may be able to find a parking spot inside the Gandhi park. A better option would be to either park on the Power house road or the Attakulangara Killippalam bypass road. [update: no longer available] Better still is to park in newly opened Chalai market parking area which is easily reachable through power house road (The parking fee is Rs.10 for 2 hours). This is helpful if you are going on a shopping rampage. But whatever you do, never attempt to take your car through the market road, unless of course you are in for the experience! Check out the following map to see the parking areas marked with letter P. I have also numbered various lanes so that it is easy to find the stuff you are looking for (see next section). Please refer to the above diagram to find the shopping areas listed below. The following is intended as a general guideline since you will find almost all types of shops in all areas! 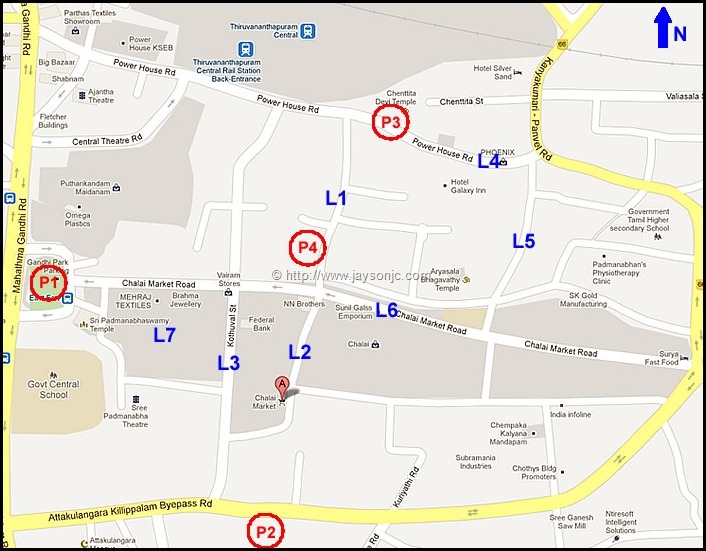 L1 – I usually park at the Chalai paid parking and then walk down to the main Chalai market road. This side road which stretches from Power house road to the Chalai market road mainly contains hardware shops and road side shacks selling discarded electronic/electrical junk. You can get glassware, house hold tools, plywood etc. from here. 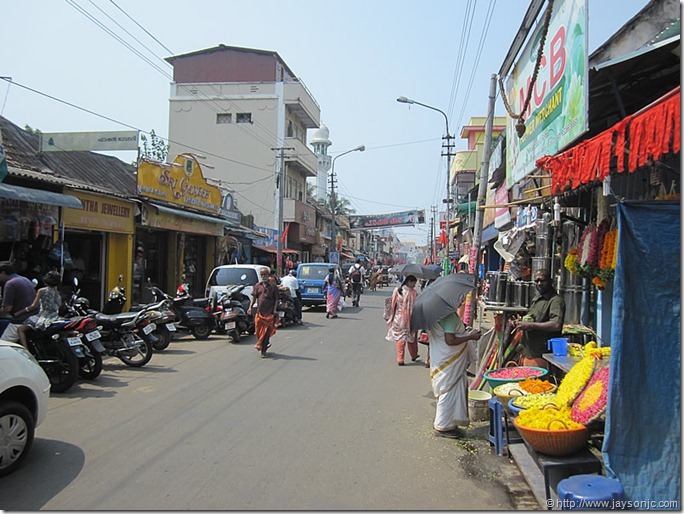 L2 – This road leads to the main Chalai market area where groceries are sold. 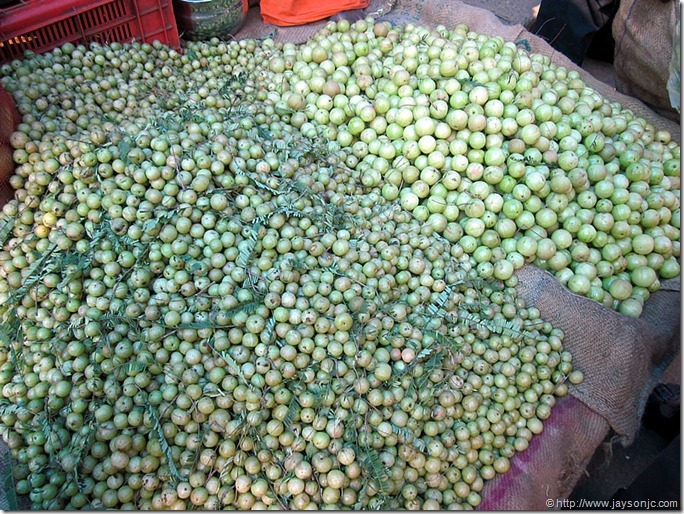 It is huge market selling fruits, vegetables etc. You can bargain here and you will find that some of the weighing machines here are rigged. You can easily verify it by asking the guy to balance it the other way around! Still stuff here is cheaper than anywhere else in the city. This is one of those rare places in Trivandrum where you can still find house sparrows! L3 – This street is known as Kothuval street and it connects Killippalam bypass to Power house road cutting the main Chalai road. You will find all sorts of household items here. 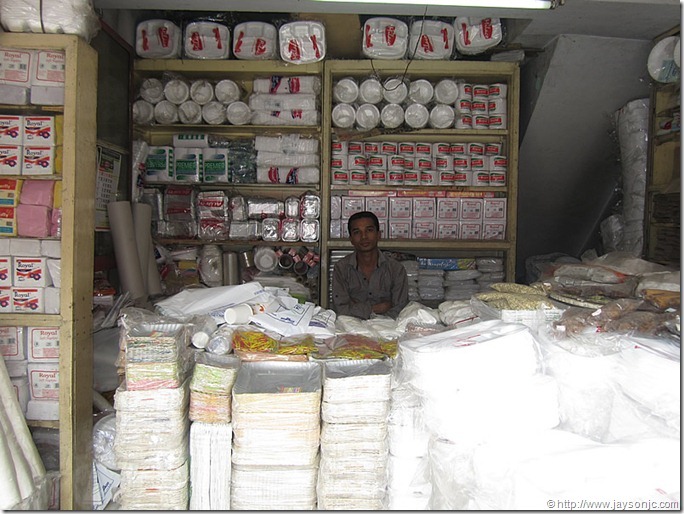 Items such as essential kitchen tools, paper plates, paper cups, plastic utensils, spices, stationery, perfume shops etc. are available here. This street has more than 100 shops. Most of the shops are on the southern end of this line. 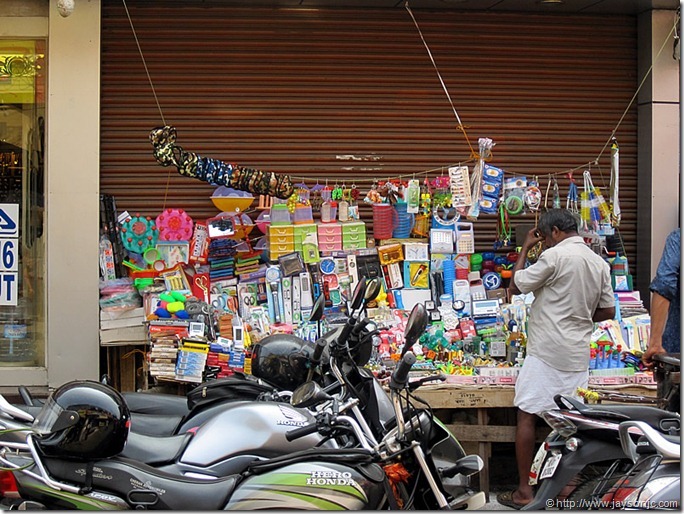 L4 – Chalai market has extended to the power house road and here you will find mostly household items, tools/hardware, plywood and glass items. Some of the exclusive shops are also here. For example, there is a shop near the NH 66 (NH 47) which repairs all types of car speedometers and another one nearby which deals in thermocol and ice boxes. L5 – This is the second major road connecting power house road to Chalai market road. Here you will find all high end hardware shops and can buy tools from Bosch, Dremel etc. You will also find a couple of shops selling wall photo frames. You can also get your photo professionally framed from the shops here. 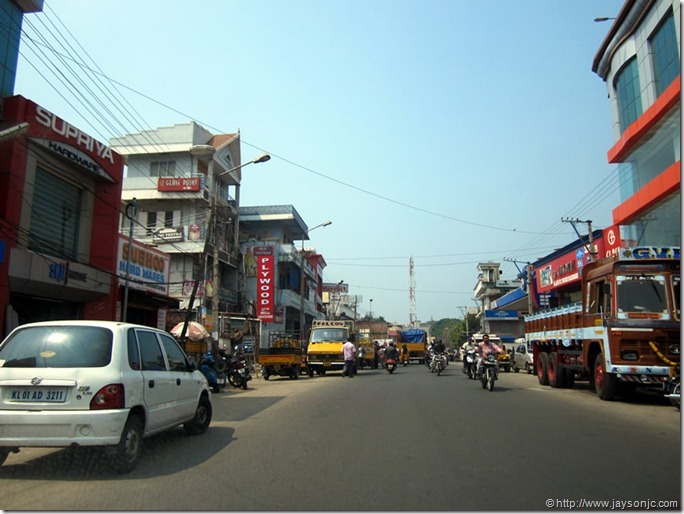 L6 – The main stretch of Chalai market road is here. Here you will find jewellery shops, street vendors selling fruits and other small items, small restaurants (my favorite is hotel Azad), hardware shops, household items and many more. For example, I recently purchased a net for covering my water well and also bought a set of plastic boxes for organizing my stuff. L7 – There are a number of narrow lanes which connect the Gandhi park road to the Kothuval street. It is easy to get lost in these lanes. You will find textile shops, household shops (a famous one is S Ibrahim & Co. very famous for getting everything you need when you move to your new home! You can also repair all your kitchen gadgets here!) and toy shops. Following are some of the recent photos I took from Chalai market. This is one of the narrow lanes leading out of the main Chalai market road. Don’t hesitate to explore these roads as they hide some of the best shops in Chalai! This photo is taken from a "cake shop" where you get all the stuff needed to make cakes! 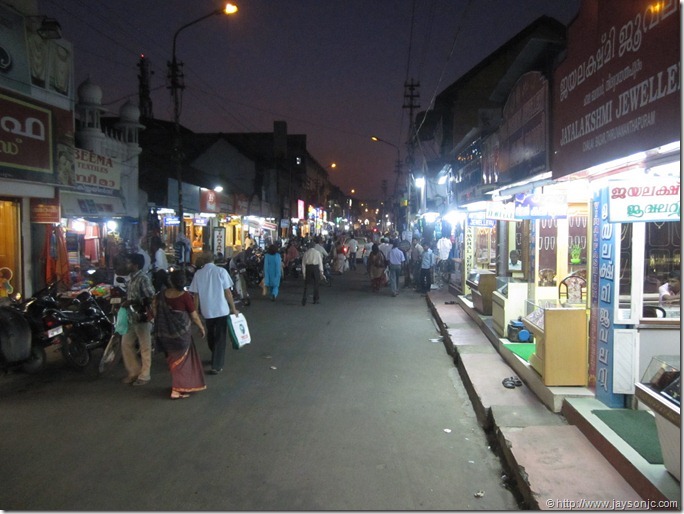 This is the main Chalai market road at night. Power house road on the northern side of Chalai market. Further north is the second entrance to Trivandrum railway station. Chalai market road at noon. This is the best time to visit if you can’t handle the morning/evening rush. Road side gadget shop in main Chalai market road. I love ogling at these gadgets. Shops selling discarded electronic items in Chalai. This is the place I always visit when I am in Chalai. Gooseberry in Chalai. You find all kinds of vegetables and fruits in Chalai. Vegetable market in Chalai. The vegetable market is huge and most of the stuff here is fresh. I dont know hoe to thank you. Your blog has been such a blessing for me, who is new to trivandrum. I am going there tomorrow. and I will surely update you about my venture.. Stumbled your blog upon searching for ice boxes in trivandrum. Thanks for the tip and the detailed post. Interesting read.